So recently I did some free consulting to a friend of mine, who owns a blog in web design space. They were religiously publishing 3 articles per week, but their “business numbers” didn’t seem to grow. I checked their Google Analytics to see how much impact these articles had on their monthly traffic. Those 12 articles that they’ve published during the month accounted for 1% of their overall monthly traffic. So why even bother writing new articles when this doesn’t have any noticeable impact on your business? That same month I published a single post at BloggerJet and it created a nice spike in Google Analytics, which accounted for 10% of my monthly traffic. Every article that you write should have a visible impact on your business, otherwise it shouldn’t be written. Most people launch blogs and commit to update them with new articles because they want to build an online business and make a living from it. But somehow the vast majority of these blogs don’t get any traction for years. They publish new articles regularly, keep an eye on the trends and do what everyone else is doing – but their blogs just won’t grow. And so they quit, thinking that they simply weren’t lucky enough to succeed. I’ve been there too with BloggerJet. I wrote listicles, which generated quite a buzz; I wrote detailed guides and got tons of people to comment on them; I published guest articles and did some interviews too. I mean I did all the stuff other bloggers were doing and even managed to grow my brand new blog to 20k visits and 80k Alexa in only 3 months. But then I hit a plateau and wasn’t able to grow my blog beyond that. And I wasn’t making any money. Meanwhile, I watched other bloggers who started from scratch just like me. And they were absolutely killing it with their blogs!!! Matthew Woodward from http://www.matthewwoodward.co.uk/ was squeezing tons of money from his blog traffic. I studied these guys as well as dozens of other successful bloggers and tried to reverse engineer what they were doing. Holy sh*t! I know how they do it! But I’m afraid this checklist alone won’t take you to the same epiphany that I had. So I decided I should write a very detailed guide with tons of examples. 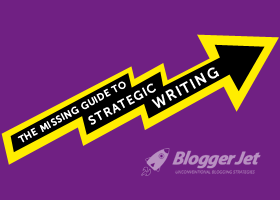 It’s huge, but I promise it’s worth every single minute of your time (if you’ve seen a better guide to writing strategic articles – please tweet it at me). I think I’ve heard it first from Derek Halpern that one should spend 20% of his time writing content and 80% promoting it. And so I see lots of bloggers writing mediocre articles and then using all the promotion tactics they know to bring some visitors. If you want a ton of traffic – you have to make your content “contagious”. By saying “contagious”, I mean the kind of article that makes the reader want to share it with someone else. As you can see from the graph, contagious article generated a few viral loops and so it reached a lot of extra people. The other article didn’t urge readers to share it and so the hype faded almost instantly. Thanks to it’s amplified reach, contagious article gets a better chance of being accidentally exposed to some influencer, who might share it with his huge audience. And this will relaunch the whole viral cycle all over again. So the question is: how to write a contagious article? If we’re talking about theory, I highly recommend you to read a book called “Contagious: Why Things Catch On” by Jonah Berger (or at least the takeaways from it). I bet you’ve heard the Ghostbusters theme song, which landed an Oscar nomination to Ray Parker, Jr.
Well, did you know that it sounds almost exactly the same as the song by Huey Lewis called “I Want a New Drug” that was released earlier that same year? I’m just trying to say that a lot of “great ideas” were built on top of someone else’s “good ideas”. Find a contagious article and build your own piece on top of it. This tool is golden. Back in the days when I didn’t know it exists, I’ve spent a few hundred dollars to develop my own tool – Strip The Blog. But my tool is just a baby toy compared to what Buzzsumo can do. Buzzsumo is free! So go try it out! “Introducing The Periodic Table of Content Marketing” – this infographic by Chris Lake is quite simple and yet it got over 12k shares. This motivated me to support my guide with a fancy checklist that you see above. By the way, Chris actually stole the idea of his infograhic from The Periodic Table Of SEO Success Factors. And I see nothing wrong with it, since his work is original and unique. Another great way to find contagious ideas is to browse sites where your target audience is hanging out. Walter Chen wrote an article on productivity which was read by over 30,000 people in less than an hour. Can you guess where the idea for this article came from? Find what worked and copy it! He browsed most popular productivity articles on HackerNews and found a great idea that he turned into a massively contagious blog post. If you’re blogging in the internet marketing niche, I suggest you to dig into Inbound.org and GrowthHackers.com. These are nothing but a goldmine of great ideas. And in case your niche is different, I’m pretty sure there’s at least a single community forum where people openly discuss what bothers them. Why even spend time with Buzzsumo or browse community sites to find great articles when someone has already done all the heavy lifting for you? And you’ll find a ton of curated content where other bloggers have already cherry-picked the most epic articles for you. Stealing articles word for word won’t take you very far. Sooner or later your readers will discover that you’re just a copycat and your credibility will be ruined forever. So your job is to improve the article to the point when people no longer see the resemblance with the original. This cool image was stolen here. As a side-effect, by improving the article you will be able to pour some extra “social currency” in it, making it even more contagious. “Social Currency” is the idea that what we talk about influences how people see us. How does this apply to your article? It should have practical value, so that people who share it will get some credit for helping others. In other words, you should create the kind of content that people would love to be associated with. Read every single article that ranks on the first page of Google for any keywords related to your topic. 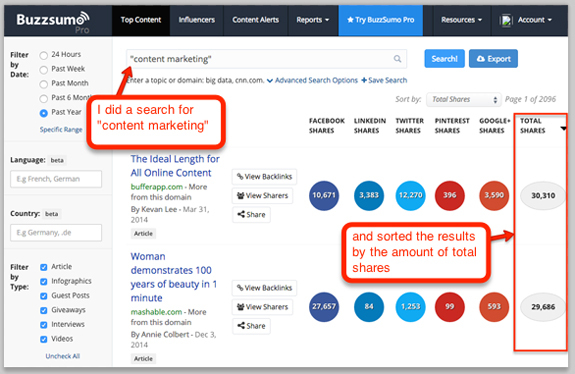 Then go to Buzzsumo and find all relevant articles that performed well on Social Media. You job is to write a piece that would contain more value than any of the articles that already exist. A good research may really seal the deal. Trust me. Five years ago I decided to write my first ever guest article and get it published at Moz blog. I was so terrified of getting rejected or look dumb in front of world’s greatest SEO community that I’ve literally spent a month on research alone. At the end of my research I was pretty sure that there wasn’t a single tip or tactic that I didn’t know about. So I wrote my piece and submitted it to Moz. I was a total noob and that was my first ever guest article, so I naturally prepared myself for the worst. My first ever guest article was a blast!!! 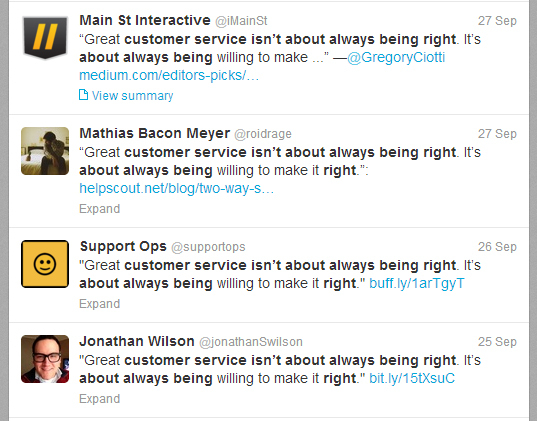 Back then I knew nothing about copywriting or “social currency”. Hell, I wasn’t even an expert in the topic that I was writing about. My only weapon was research and it sealed the deal! Most bloggers won’t go beyond generic tips like “engage with your community” or “write quality content” – and that’s where you can stand out! Peep Laja from ConversionXL has an editorial policy that requires every claim to be backed up with a research, case study or a specific example. And that’s one of the main reasons he was able to grow his blog to 100.000 visitors in less than a year. I don’t think there’s a case study or a research to everything that you may write about, but if you’re giving your readers a piece of advice it would be great to back it up with at least one example. Check how Bryan Harris is using the phrase “for example” to expand his articles and go deeper than other bloggers do. Many people get tons of exposure, by telling their audience what others do. Think Andrew Warner or John Lee Dumas. But you can get ten times more exposure by telling your audience what YOU do! Think Tim Ferris or Gary Vaynerchuck. I recently wrote an article about “Link Roundups” which was purely based on my personal experience. People love visuals. An article with a few images in it looks a lot more enticing than the one without. But anyone can throw a relevant image in-between the paragraphs of text. So how do you differentiate? You should create your own custom images to illustrate the points you’re talking about! Screenshots with notes/explanations/examples of what to do / how to use / what it means, etc. And these should be YOUR OWN photos, charts and visuals! If you just take them from someone else, you’ll add value to their work, not yours. 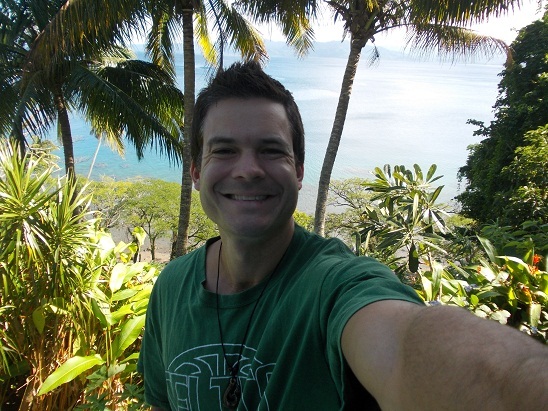 Meet Ryan Biddulph. His blog is called Blogging From Paradise and I can’t imagine him publishing an article that doesn’t have at least a single picture of him at some insanely beautiful spot. Ryan uses “photos from Paradise” to show his readers the lifestyle he’s living and inspire them to do the same. You can easily do this on your blog. Just grab a camera and shoot something that’s related to your article. 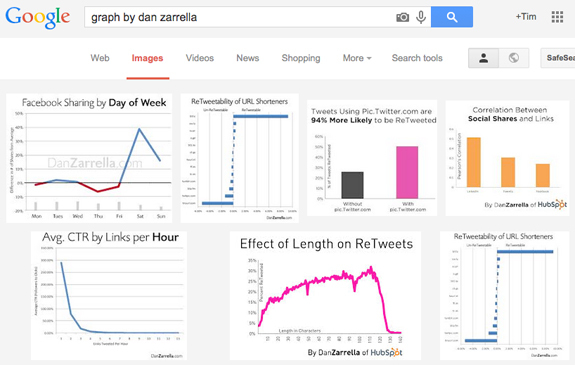 Dan obviously has some mad skills in data mining and analysis that would seem like rocket science to most of us. So what are our options then? Well, first of all, there’s a very convenient tool called Import.io which can turn web pages into data (check how Nate Desmond used it to scrape data from Noah Kagan’s blog). And secondly, you can always hire someone at Odesk and pay him to collect the data for you. 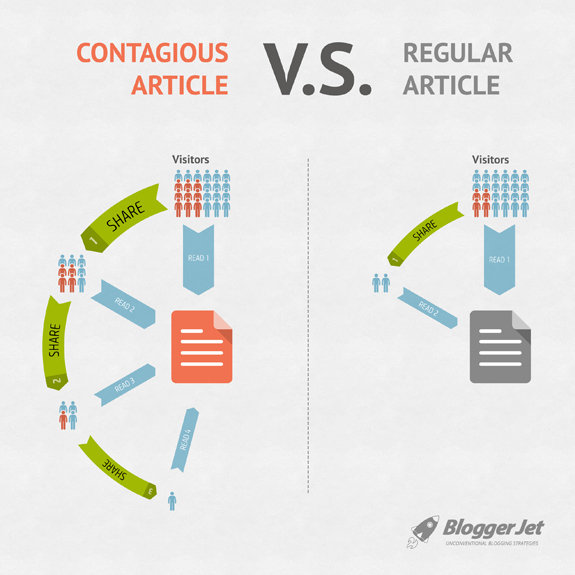 Did you notice my visual called “Contagious Article VS Regular Article”? I did a raw sketch and my friend designed it for me for just $15. If you don’t have friends who are good with designing things, you can post your job at Odesk and easily find a perfect candidate. Have you heard of James Clear by any chance? I love how he takes concepts that he learned from different books and turns them into cool visuals. Such visuals are absolutely great when something is too complex to explain with words alone. That’s why other bloggers would gladly swipe your visuals and use them in their own articles (linking back to you). I’m a big fan of the Firepole Funnies series. Their comics are fun and entertaining. And since no one else does it, it clearly makes the FirepoleMarketing blog stand out for me. But entertainment is not the only thing you can do with comics. They help a lot when you need to communicate complex ideas. 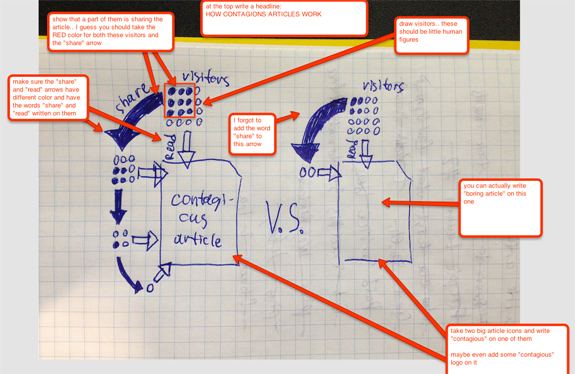 My favourite tool for creating annotated screenshots is Jing, but I’ve seen many bloggers using Evernote to do it. And here’s a brand new trend – animated screenshots. Did you check that article by Nate Desmont that I’ve referenced earlier? His animated screenshots make the tutorial real easy to follow. If you need some guidance in creating these awesome .GIF images, here’s a great tutorial by Ian Cleary. Don’t worry if your visuals aren’t perfect or professional. An article with non-professional visuals is still way better than the one without. The same story might sound totally different depending on who’s telling it. Some people have an extraordinary talent of talking about the most boring things in the most engaging way. But if you’re not one of these talented guys – don’t worry. Most of their tricks were thoroughly studied and condensed into practice called Copywriting. A poor headline can easily kill even the greatest article in the world. You found a great article and shared it on Twitter. Which part of that article gets exposed to your followers? And if it’s boring – none of your followers will click it and visit the actual article. Sites like BuzzFeed, UpWorthy and ViralNova have built multi-million dollar businesses by perfecting the art of headlines. Clickbait headlines typically aim to exploit the “curiosity gap”, providing just enough information to make the reader curious, but not enough to satisfy their curiosity without clicking through to the linked content. There are tons of tricks on writing magnetic headlines and I’m afraid I won’t be able to distill them into a just few paragraphs. So instead I will share how I do it. And whenever I need to brainstorm a headline for my new article I just open this document and try to apply these formulas and examples till I come up with at least five headlines that I enjoy. Then I may show these five to my friends and ask for opinions or just settle with the one I like the most. Can you please click on the one you like the most and tweet it? It would be really interesting to see which one of them is actually the most attractive. Emotion is one of the core things that makes people share. I’ve learned this from that awesome book called “Contagious” by Jonah Berger. And how do you make someone experience an emotion? You tell him a story. Stories allow the reader to empathise, which creates a connection between you and your audience. A classic example of storytelling that sparks emotion is an incredible article by Jon Morrow “On Dying, Mothers, and Fighting for Your Ideas”. That post got shared well over 3000 times on Facebook alone. And it’s not the idea behind it, which made people click on social sharing buttons. It’s the emotion. It’s how Jon made you feel by telling his story. I’m sure you have lots of stories that you can share with your readers! We tell stories to our friends and family members every day. So think if there’s a good story that is relevant to what you’re writing about and use it in your article. By the way, there are quite a few of my own stories in this guide. Did you notice them? You won’t believe how many people will share your article just because you’ve asked them to. 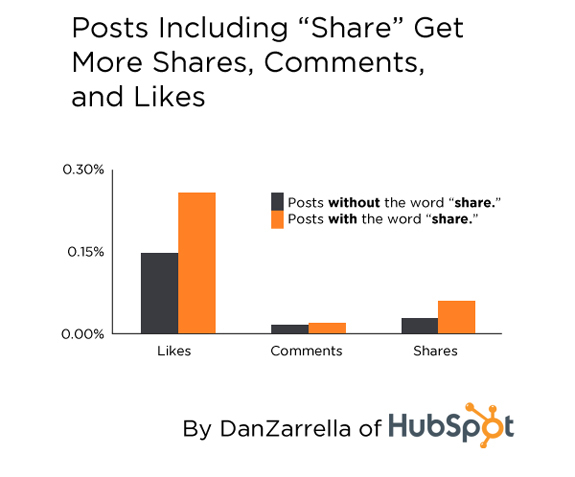 According to a research by Dan Zarrella, saying “please share” on Facebook positively affects the amount of shares you get. Well guess what. It works exactly the same way with your blog articles too. So use the last few sentences of your article to ask your readers for a share and they will do it for you! Want to go a step further and use human psychology to amplify your request? Remind your readers that you’ve just shared a ton of useful stuff with them absolutely for free, and the only thing you’re asking in return is a click on the share button. According to studies from the book by Robert Cialdini called “Influence: The Psychology of Persuasion” people will feel obliged to reciprocate. The power of giving a reason. There was an amusing experiment in that same book where a girl tried to cut in line to use the Xerox machine. – this basic request worked in 60% of the cases. – 94% of people said “ok” to this one, which clearly illustrates the power of giving a reason. – 93% of people were “ok” with that, even though there was no actual reason to do that. Keep this in mind when asking your readers to spread the word about your article. Why do we love quotes by famous people so much? That’s because they will often compress big ideas into short, insightful prose. And you don’t have to read a big book about goal setting just to understand that you need to have a plan for each of your goals. People love sharing these little nuggets of wisdom on social networks. 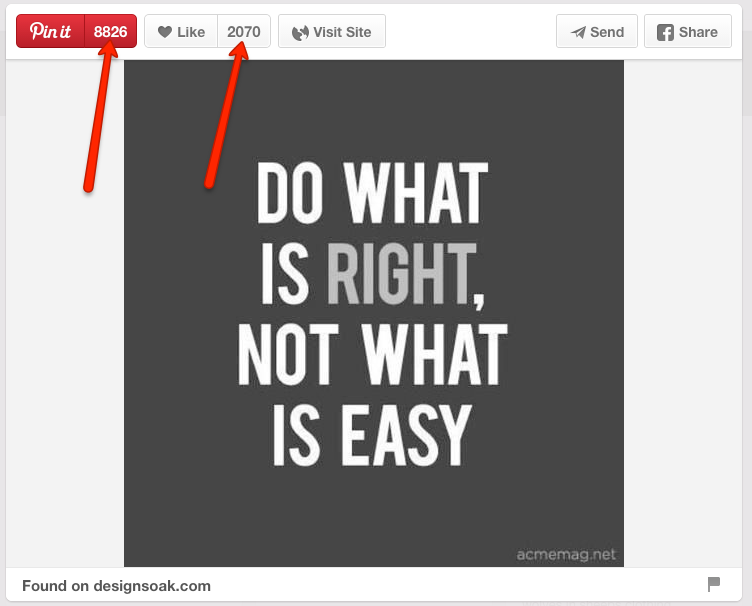 Just do a search for “quotes” on Pinterest and you’ll see how much traction a simple image with some text on it can get. But quotes by famous people is not the only thing you can use in your article to boost your shares. Have you heard of “sound bites”? I think it was Derek Halpern who introduced this term to the blogosphere. Just try to distill the main idea of your article into a single great sentence and make it bold and visible. This will be your “sound bite”. But you can get even better results if you put a call-to-action next to your “sound bite” and allow people to tweet it with a single click. 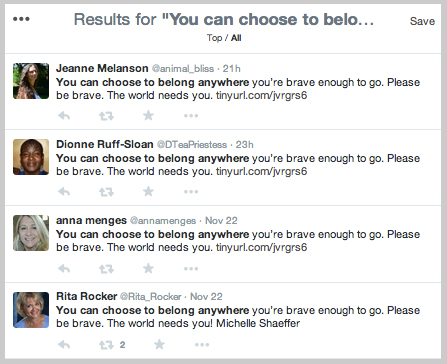 Place a call-to-action next to your sound bite and make people tweet it with just one click. 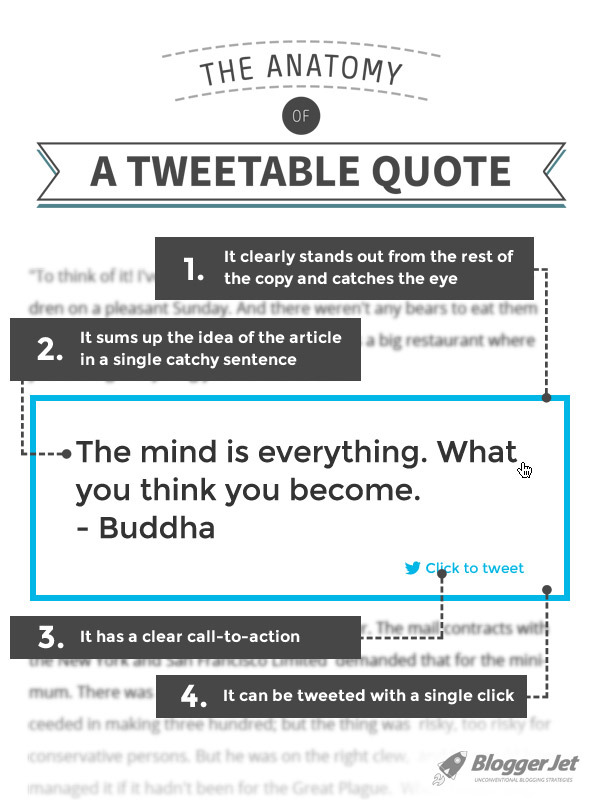 This tactic is known as “tweetable quotes” and I have published a very detailed guide on how to create them on your blog. I love “tweetable quotes” so much that I’ve spent some money to create a WordPress plugin that creates fancy-looking quotes in your articles. So guess what? She’s now a huge advocate of this strategy too! One of the best ways to get tons of traffic to your article is to have an influential person share it with his huge audience. But how do you make him do that? 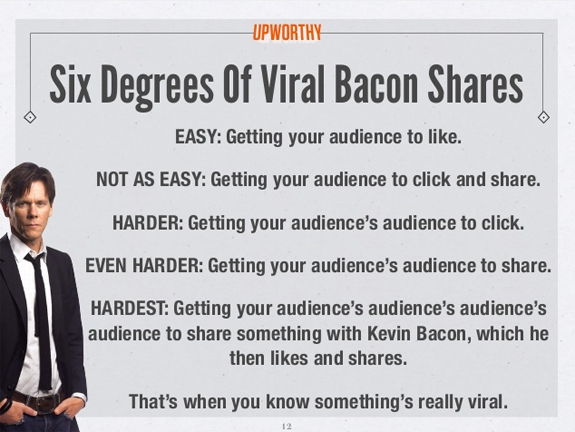 First of all, you have to make sure you’ve went through the first four steps of this guide, because this is how you make your article worthy of a share. Then feature some influencer in your article: talk about him, quote him, link to his work. This way there’s a big chance that he will at least come and check it. However, just mentioning someone in your article doesn’t guarantee you a share from that person. Last year I published an article featuring 50 marketing experts and their advice on Twitter Marketing. I had to reach out to each of them personally and ask for a piece of advice that can be featured in my article. Once the article was published I followed up with everyone and told them it was live. Guess how many of them tweeted it? First of all, they weren’t featured exclusively. There were 49 other people in that article. And besides, they get featured in such “expert roundups” every single day. I guess they just don’t care anymore. So how do you mention an influencer in a way that makes him want to share your article with his audience? You have to become his “case study”! Write an article about your results and feature the influencer, who inspired you. This way any influencer would love to share your article, because this is a proof of his credibility. I’ve learned this strategy from Bryan Harris of Videofruit. He calls it a “Poster Boy Formula” and he actually suggests you to buy a product or a service from some influencer and become a “success story” for that product. Bryan definitely knows what he’s talking about, because he’s a “poster boy” for a product called Monthly1k by Noah Kagan. Another great way to make influential people notice you is The “Drip” Technique introduced by Gregory Ciotti. Instead of making quotes from experts the focus of the article and writing yet another “50 Experts Talk about XYZ” piece, he would just drip a few quotes here and there in his article. So what you need to do is write a killer article and then reach out to a few key influencers for some quotes that you can feature in it. Read this post by Gregory Ciotti for more detail. Google can be a solid source of traffic if you know how to pick the right keywords and optimize your articles for these keywords. I won’t go into much detail about SEO here, because this will make my guide twice as long. 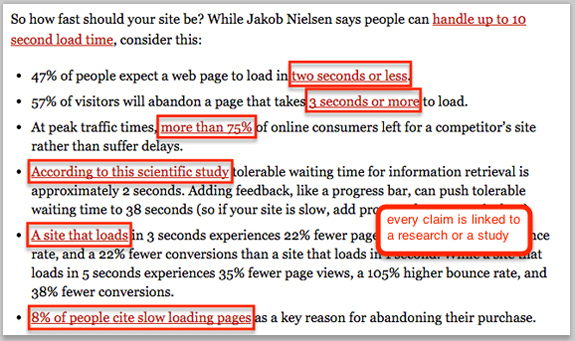 So instead I’m going to show you my exact process of writing Google-optimized articles. Once I decide to cover a certain topic on my blog I go to Google Keyword Planner and brainstorm possible keywords that people may search for. These keywords are not too competitive. Which is good! As you can see, I generally pick keywords that get 100 to 1000 searches a month and don’t have much competition. They are the easiest to rank for, even if you don’t have a ton of sites linking to your content. By the way, I use Rank Tracker to keep an eye on my Google Rankings and I love it! There’s a reason why this section is placed after the one about getting traffic. If you really want to grow your email list (which I’m sure you do), you have to start with writing a kind of article that will attract tons of readers. 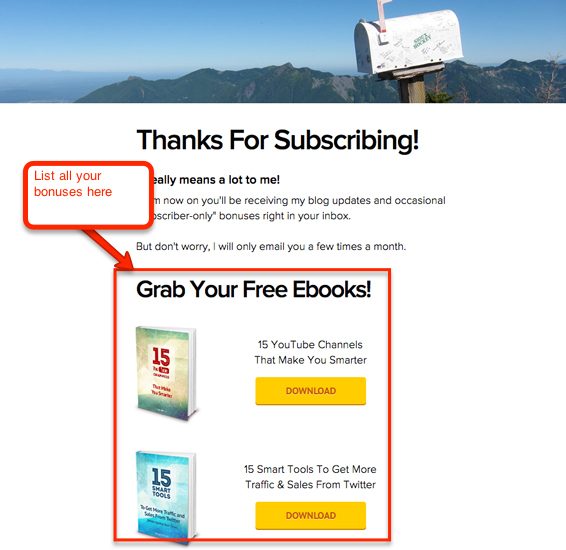 Just a few months ago I thought that the best option to convert my blog visitors into email subscribers was a popup email form. But in late 2014 I stumbled upon a brand new lead generation tactic and I was blown away by how effective it was. Bryan Harris from VideoFruit is getting 20-30% opt-in rate using this tactic and Brian Dean of Backlinko managed to imrprove his overall site conversions by 185%. This tactic is known as “content specific bonuses” or “content upgrades” (I prefer the latter). The catch is to come up with a few extra pieces of valuable content that complement the article and make people leave their emails to get it. My cheat sheet with headline formulas. Now you’re probably wondering how does one create such a thing within his article. I’ve seen some bloggers using a premium service called LeadPages. First of all, you need plug your email service into LeadPages. Ok. 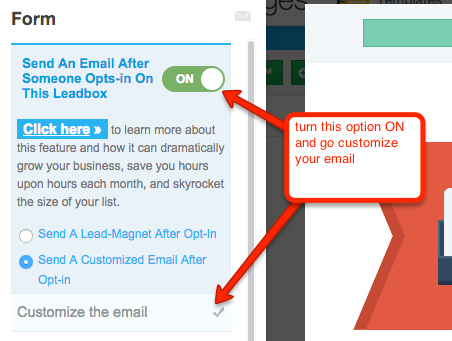 This is how you make people opt in. But what happens next? How do you deliver your bonuses to them? Well, there are quite a few different options, but I’m going to cover the two easiest ones. Most email service providers require all new subscribers to confirm their email address. They receive an email with a “confirmation link” and they have to click it. That is where you can put all your bonuses. The downside of this method is that a person opted for a very specific bonus and you’re sending him to a page with all the bonuses you have. But I don’t think that is such a big deal. This way you don’t need to list all your bonuses on the “Thanks for subscribing” page, because the service will automatically email everyone the bonuses that they have opted for. and the one with the link to download your bonus. I guess many people will just grab the bonus and ignore the confirmation email. Which means they won’t be added to your email list. So I guess option #1 is preferable. 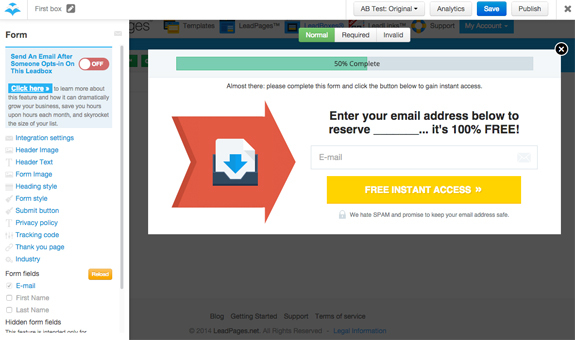 However LeadPages is not a free service. And it’s not even a “one-time payment” service. It’s a subscription. And the lowest you can go is $37 per month. Actually the price is quite fair, because they have a ton of other great tools except for LeadBoxes. But I was looking for a dedicated solution, which would focus solely on “content upgrades” and wouldn’t charge me every month. And I wasn’t able to find one. Content Upgrades PRO is a premium plugin for WordPress. But there’s a free version too! So these are the basic steps that should get you started. In case you need a more detailed tutorial, make sure to subscribe to my blog as I’m about to release one. What can be a “content upgrade”? 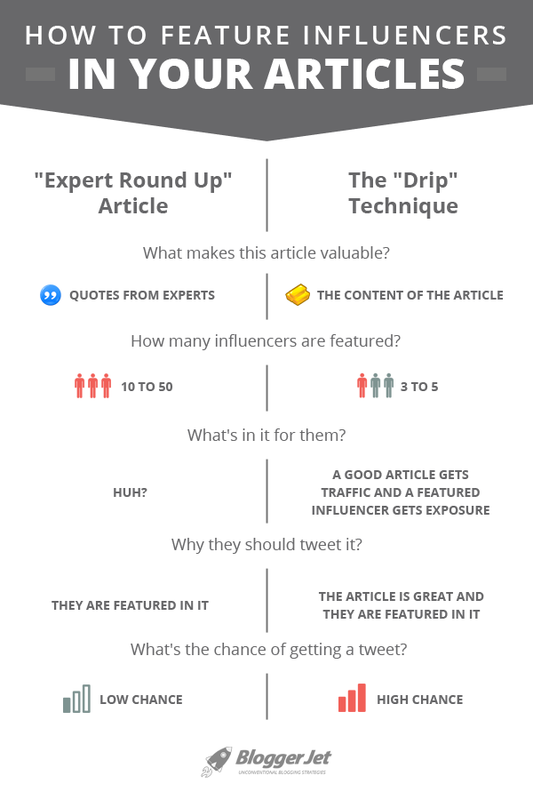 I’ve seen many bloggers give out a PDF version of their article as a content upgrade. But it’s not even nearly as effective as making the article “incomplete” and then providing some additional value. Don’t get me wrong here. I’m not saying you should publish the first half of your article and hide the second half behind an optin box. My advice is to go a level deeper, but hide that level behind an optin box. If you’re writing a “how to” article, you can record a screencast where you walk people step by step through the whole thing and use that as your content upgrade. It works insanely well! Why would my readers want to download my “content upgrade”? The answer to this question determines how many email subscribers you’re going to get. Let’s say you want to get away with offering a PDF version of your article as a content upgrade. Why would people want it? Honestly I can’t come up with a reasonable answer. To print it? – You can easily print the article right from your browser. To save it for later? – Why don’t you add it to bookmarks then? To read on an iPad? – I guess Pocket is an easier way to do it. But what about the PDF checklist that I’m giving away in this guide? Well, this guide has tons of information about writing articles that bring traffic, subscribers & sales. It’s 7000 words long and once you decide to refresh it in your memory before writing your next article – you’ll have to do a lot of scrolling. That’s why I decided to distill all the meat of this guide into a cool PDF checklist, which is only a few pages long. So it will take you less than a minute to recall all the strategies I’ve talked about and use them in your next article. I just “sold” you my content upgrade by explaining you why it’s useful. Bryan Harris is a true master of doing exactly that. He literally made me opt-in for every content upgrade he had on his blog. Just go read some of his articles and see it with your own eyes. As you can see, the word “sell” does not only apply to things that you pay for. If you want your readers to download your content upgrade – you have to “sell” it to them. But if we’re talking about money, I know that a lot of people feel uncomfortable selling stuff to their readers. They don’t want to seem pushy and sleazy and so they never ask their readers to buy something. And their business revenue doesn’t grow. Yeah, some people will indeed consider you sleazy and pushy. But what about the rest? What about all these people who actually NEED what you’re offering? You’re doing them a huge disservice by not “selling” them on something they really need. So let’s get to the tactics. First of all, you have to identify a problem and make sure that your audience is struggling with it. Think of what your readers want and what stands in their way. & other thinks like that. Not sure what is the biggest issue that your audience is facing? Just email them and ask! Survey your audience like Derek does! And once you’ve identified the issue that your audience is facing, here’s how you sell them the solution. Selling is not easy. Even when you know exactly what your audience is struggling with and you have a perfect solution for them. People tend to obey authorities. There was a great experiment conducted by Stanley Milgrim where people were willing to hurt others with electric shocks just because an authority told them to. So if you want to make people believe you and do what you say, you need to position yourself as an authority. Even if you don’t consider yourself knowledgeable enough, there’s a good chance that other people know a lot less than you do. In fact, every authoritative person that you know wasn’t born with his knowledge. He went through the process of learning new stuff and sharing it with others – that’s how he built his authority. People tend to believe statements with precise numbers. This is a pretty common knowledge in the marketing world, but there’s actually a study that backs it up. People were more likely to believe the statement with the more precise number! It would be a lot easier for you to convince people to buy your thing if you could show them some precise numbers behind it. Scientists in New Zealand discovered that people believe claims are true (regardless of whether they are actually true), when a decorative photograph appears alongside the claim. 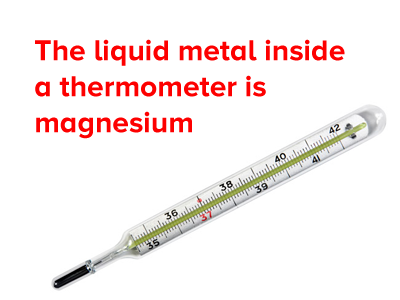 They showed people a series of claims such as, “The liquid metal inside a thermometer is magnesium” and asked them if they believed the claim was true. In some cases, the claim appeared with a decorative photograph, and other claims appeared alone. When a decorative photograph appeared with the claim, people were more likely to agree that the claim was true, regardless of whether it was actually true. 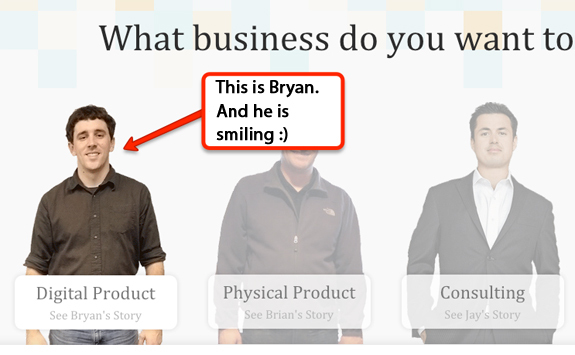 This means that you’re seriously missing out if your sales page does not have images that show how your product works. And seriously, don’t use those mercury thermometers, there are tons of alternatives that don’t put your family at risk. In order to sell something, you have to teach people, show them precise numbers and illustrate your points with images. How do you get all of that together? Just use the product and share your experience! And you can make a lot of pictures or screenshots along the way. That’s exactly how Matthew Woodard persuaded me to buy TweetAttacksPro software. Go read his article and see yourself how persuasive he is. How do you offer people a discount without actually offering a discount? The trick is to show them that your product contains a tremendous amount of value, which makes the actual price seem very cheap. You’re selling a training course at $97, which may sound a little steep to some people. Now let’s say that your hourly rate as a consultant is $50 and your course has 10 hours of videos made by you personally. Now 10 hours of training for $97 doesn’t sound that steep, right? Keep that in mind next time you’ll be selling something. Try to show people that the actual value of the product is way higher than what you’re selling it for. This guide is over 7000 words long, which means you’ve just invested quite a bit of your time to read it. What are you going to do with everything you’ve just learned? Forget it and keep writing new articles the way you did before, staying at the same level you’re at? Put all these tactics to action and get the results you were always looking for? Please tell me if this guide inspired you to approach your writing in a totally different way. And please do me a little favour and share this guide with others, for there’s a good chance that it will help them with their blogs. Wow Tim what a post! And thanks for the mention!! Contagious is the word; IF you go overboard/over deliver on your content then folks will spread the word for ya, and if you do strong promoting yourself that synergistic effect makes your posts take off. Selfies from paradise? Yeah, doesn’t hurt to include those bad boys in posts either lol. Thanks Tim keep on inspiring! Anyways.. do you think those “selfies” really help your readers to connect with you on a deeper level? Thanks, Tim! 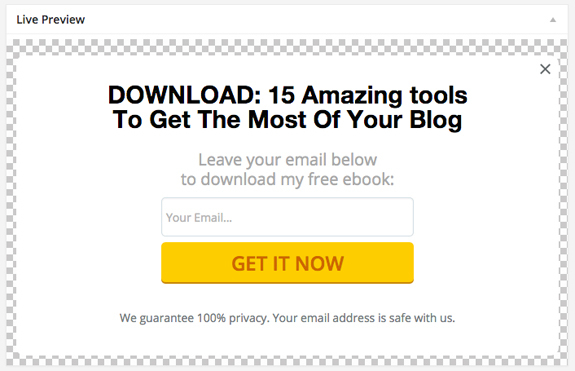 This is a really cool guide for bloggers! This is how you sell. The article was detailed, useful, and practical. Behind every suggestion you included step by step instructions on how to do it. The part I loved the most was how you mentioned your premium plugin and immediately offered a free work around. What’s most interesting is that you mentioned your product once. Yet you offered your content upgrades 4 times. That proves that the money really is in the list! Hey Dottie! :) Thanks for your awesome comment!! Wow … this is some content you wrote. I’ve rarely seen such an epic content on strategic writing. I also agree with all the points that you pointed out. I actually liked that you were able to start making money online by following other successful bloggers. Great job on the post, Tim. I really like how you included about ten different elements in this post, including a tutorial on how to use LeadPages. Wow. I have never made a gif before, and will be checking out How to Create Animated Gifs For Your Blog. Thanks for the reference, Tim. Wording Well posts will likely contain gifs in the future! very, very impressive. What plugin do you use at the end of this article that asks readers to enter their emails to get notified of new posts? very, very impressive. What plugin do you use at the end of this article that asks readers to enter their emails to get notified of new posts? Also – I went to download the PDF of the checklist and didn’t find it on the bonus page after opting in. please to go the “thanks for subscribing” page again.. It’s back there.. I was playing with backups a bit and I guess I pulled the older version of the page, when it didn’t have these bonuses listed..
You got tons of golden nuggets in this post. Yes, it’s 7,000 words but it’s a loss if people fail to invest their time reading it. But if you look at it from a different perspective – you would spend a lot more time, trying to collect all these tips from individual smaller articles. I really enjoyed this post, and it made me notice you and what you are doing. I think it could have been even stronger if it had been polished with a once-over by a proofreader. Just in passively reading (half-skimming, not giving it a careful eye) I saw a bunch of typos. Clearly this took a bunch of time to put together in terms of strategy and images and extras, so it’s surprising that was overlooked. Taking that extra step will not let sloppiness distract from your message and credibility. I look forward to reading more from you in the future. I’m from Ukraine and my native language is Ukrainian… other than that, every Ukrainian also knows Russian, because we were once a part of the Soviet Union. But I have to admit you’re totally right. I need to hire a proofreader someday, because a first time visitor doesn’t know I’m from Ukraine and might not forgive me my sloppiness. thanks, Stileex! 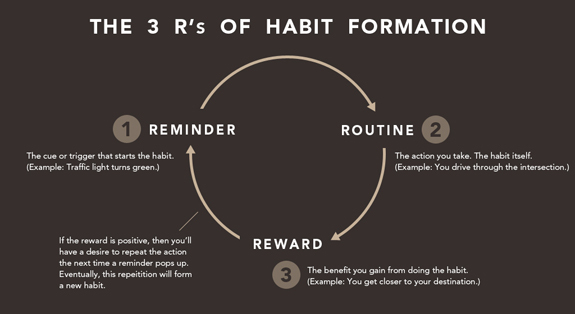 :) I’m keen to see how you put some of these strategies to practice! By the way, how long did it take to write this 7000 words article? great question! :) I’ve spent about 3 weeks to research everything I could on that topic and another 2 weeks to turn that info into this article! Hi, this is a truly awesome article that I’m gonna read and share like crazy. I was wondering if you knew about the Headline Analyzer by CoSchedule. It’s still in beta but I’ve found it rather useful when I’m hesitating between several title options. Cheers! Awesome, awesome guide Tim! So many great tips on how to create great content. I think this is one of the hardest things to get right in blogging…but when you do it totally changes the game. I will be testing it out to see what it does for me…. What am I going to get busy doing now? Writing a post about how to write a post that is…7,001 words long! Ha.. nice work, and thanks for your good content. Hi, I am from Spain and here there are not much value content like this. Can I plagiarize it —I mean, can I adapt it into spanish? Super Amazing Awesome Article that I can’t wait to share with my friends… thank you! no waaay! I just tried it on my iPhone (Safari) and it worked! huge thanks for letting me know, Julian! This is my first time to your site and I wanted to say thank you for writing this in depth article and sharing what you’ve learned. I found this article very inspiring! Honestly, I also found it a little overwhelming (in the best way). It took me 2 days to get through it because I wanted to click on the links and get a good understanding of everything. I come from a lifestyle blog niche and honestly I struggled with trying to apply everything to my niche. We work a lot with brands and I feel there is a little confusion in how to deal on a professional level with brands. However, I’m going to go through the check list and try to apply what you shared. I’ve been blogging for 3 years but only recently I’ve decided that I want to make this a full time thing. I love blogging about faith, art, beauty and life and how moms can balance work and family. hey Dija! I wish you best of luck with your lifestyle blog and I hope my tips will help you to get more attention! Amazing article on content, took me 2hrs of my time and its hard to keep me focussed for that long! Awesome article! Lots of really useful information and tips. I would love to get my hands on the pdf checklist or other content you offered in your post, but ever time I try to enter my email into the pop-up box, I get a pop-up that says “invalid email”. Not quite sure what to do now. Is there another way that I can grab your content? that is SUPER STRANGE.. because I just took the email that you’ve specified in your comment.. and I was able to submit it to my popup box! but your issue bothers me.. which browser do you use? I’m using Google Chrome. I even tried entering my Gmail email address and it didn’t work. Just got a newsletter confirmation from you. Thanks! Excellent post Tim…a lot of actionable items. I will definitely be looking to implement some of these in a few of my upcoming initiatives. Also, I want to give you a heads up to a link that is broken…it is the one to Nate Desmond’s post on OKdork (http://okdork.com/2014/04/30/the-step-by-step-guide-to-10x-growth-for-any-blog/). I have yet to read the guide, but even after I skimmed through it I can say it’s an excellent work Tim. Keep it up! Amazing guide, and can’t believe all the resources you give away in this article too – you should charge for this stuff ;) Do you mind me asking how long on average it takes to write, research and put together such an extensive article like this? Cause I’m planning to create one by the end of the year! Just need to test enough theories to make sure I’m not teaching people something I haven’t tried personally. How long it takes to write such article? Oh man.. It took me more than a month of 3-4 hours of work per day..
Amazing article.. Wonderful how you compiled this killer post. Yeah you didn’t miss a thing and i sure learnt something in this super articles of yours. Thanks for sharing buddy! Will share this article with my readers pretty soon on my blog..
Hi Tim. 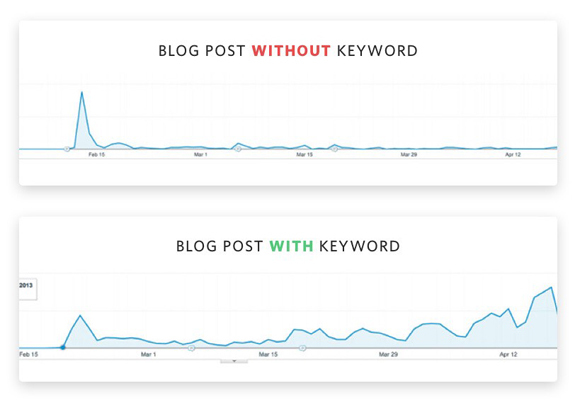 Great work on this piece and congratz on getting featured on Moz – lots of great ideas that bloggers can learn from. Hey Tim, this has to be the fifth time I’ve come back to this post. Excellent advice throughout with new Easter eggs I keep finding. Question not so related to the content (well, kind of): Do you think a post this long is worth it, or would you recommend cutting it into several? I’m working through a massive post right now that’s going to hit 5,000 words. It has four clear divisions (like this one seems to have), so I could cut it into pieces. The thing is, the post makes the most sense when all of them are together. Thoughts? Does having a long post cut readership? I guess that really depends. Do you think the two parts of the article can be cool enough to make the same people share both of them? Does the combined post look impressive enough to persuade more people to share it? Are you going to do outreach for both of your articles? Do you have a huge audience of regular readers who will await the “next episode” once you tease it to them? Wow, incredible article. Thanks for sharing such a huge amount of information. I know this is one of those blog posts I’ll have to read a few times! This is simply one of the best and most well illustrated artucles I’ve read all year. I have been looking for a spark to re – energize my site. This post really did it. Thank you! Tim, this is stupidly good. I’ve had great success with the skyscraper technique, but there are some limitations if you’re just applying it as Brian lays it out. You have a few extra ideas here that I think will likely take the results to the next level. Its really motivating the way you are dedicated to write an article & Thats the key to your strategic writing. 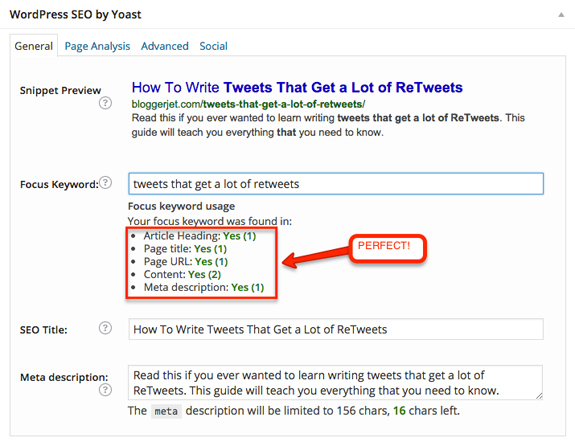 I saw the screenshot where the Yoast SEO is optimized with green in all sections. I wonder how you do the keyword positioning & distribution so perfectly. Your On-Page SEO is awesome, ever since the new Google update: Panda. No longer are backlinks and simply pinging or sending out a RSS feed the key to getting Google Search Rankings, now its important to make On-Page SEO ready. Keyword appear in title, URL, keyword density of 3-5% in article with relevant LSI (Latent Semantic Indexing). 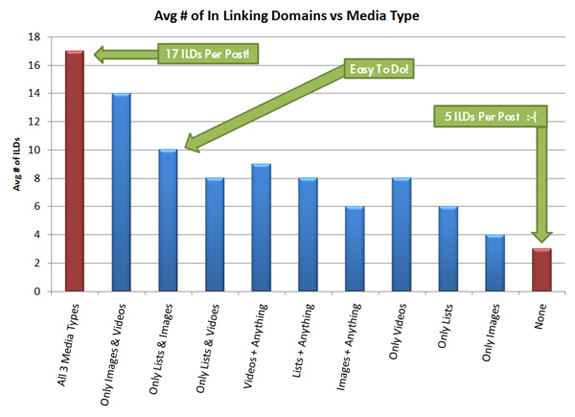 Use of H1,H2,H3 tags in article. Keyword in first paragraph and in last sentence of the page, use of Bold and italics of keyword. Internal link to blog and one image with an alt tag that has keyword. After considering all these On Page factor a strategic article is made & I appreciate that you have done it amazingly. Thanks for sharing. Wow! I must thank you for this article. I have spent the past month trolling the internet for the information you shared here In an attempt to get my writing service off the ground. 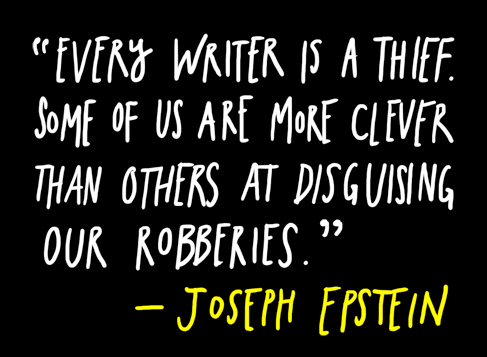 When I get it up and running, would you mind sharing an insightful quote with my readers? This is such a great and an ideal guide for content writer’s!I appreciate your time and effort putting for getting this informative material Tim! Looking forward more informative posts near in future..
I’m not saying this to be snarky, but when were you reading Gregory Ciotti? I can’t find a date anywhere? When I went to his site, there was a lot of character advice. Writing about being honest, dependable and so on bores me and my readers for sure. This is a great article. I’ve been looking for a no nonsense spread on why and how to make blog posts. I like the study on how including video, pictures and whatever increases post effectiveness.